I think you can safely call me a fantasy racist. That might seem odd to say, but looking over the fantasy that inspires me, I realize that my interest in Tolkienesque race elements is rather low. I am frequently so fascinated with human elements that exploring other races, like Dwarves, Elves and Orcs, is pretty rare. No, when it comes to fantasy, I am drawn to fantasy that mingles itself strongly with other common human elements, like economics and politics, religion and psychology. 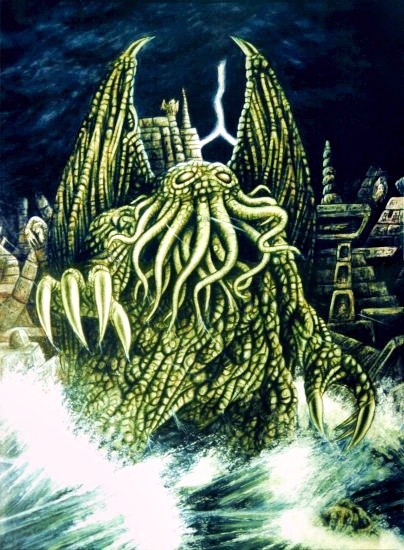 I enjoy the injection of horror into fantasy, the fusing of real world historic mythology. Truly gothic. So here are several fantasy tales in various mediums that have inspired me. And if you’re looking for fresh materials to stimulate your muse, you can check them out too. Vagrant Story was one such success story. Squaresoft (before it became Square Enix) created a few games set in a universe called Ivalice. Early games set in Ivalice, such as Final Fantasy Tactics and Vagrant Story were gold, but later Ivalice installments lost their touch as too many fantasy and political elements began to run way too rampant. But for a while in the PS1 golden age, it was unforgettable. Vagrant Story was a blend of political intrigue in the battle between church and crown, set in the fictious and forgotten city of Leá Monde. The stunning architecture and history of the city meshed with with medieval scheming and grasping for ancient and forgotten powers hidden there. Yet in the depths and dark of the city were old horrors, age old fairy folklore brought to life and the dead who clung to the mortal realm. Meanwhile, the main character Ashley Riot struggles with illusive and untrustworthy memories. Set in the same world of Ivalice, FFT was a masterpiece of tactically strategic gameplay and RPG elements. But the real meat of the game came from the real, thick plot. Rife with betrayals and backstabbing, political intrigue and a wide, motivated cast of characters, FFT was gaming meets Shakespeare. After the blood bath, you have such respect for the main character, Ramza Beoulve, for managing to survive such a world with his morals intact. The story of FFT starts at the end of a war between two kings. A power vacuum has been left that various groups are trying to fill with their own chosen successors. But as it is set in a fantasy world, the leaders of the church choose to play with fire. The other reason the game is fantastic is because it also helps you think about fantasy elements from a strategic and battle point of view. Questions of how magic fits into a fight, the importance of terrain. These are things you don’t normally think about in fighting, but are factors that enrich ones view of pulp fantasy combat. Try it if you can. You won’t regret it. Any of my long time readers know of this manga series Berserk I go on about from time to time. Probably because it’s incredible. Probably because it positively screams ‘adult’ everytime I open it up. You see men and women at their best and at their worst in the story. The fantasy elements are just the side show to the important questions about man’s soul. Nothing will make your writing feel so inadequate after you feast your eyes on this masterpiece of art and writing. The story revolves around Guts, a mercenary who was betrayed by his father and falls into a group called the Band of the Hawk. The band’s efforts earn them prestige, and Griffin, their commander and Guts’ friend, is eventually made into a knight of Midland. But Griffin’s ambition proves his undoing when he sleeps with the princess of Midland, and ticks off the king. The Band of the Hawk is almost destroyed. Guts manages to save Griffin, but all of this was the hand of fate in action. Due to events foreseen aeons ago, Griffin is offered the chance to ‘create his own kingdom’ by demonic forces. All it takes is a sacrifice… the Band of the Hawk. But Guts and another member survive the branding. And though Griffin is elevated to the status of a god, Guts sets out to take revenge upon him. Guts’ quest for revenge is still on going. But events have conspired that have opened the door of fantasia. Old myths and tales that people thought weren’t true have begun to appear in all their glory and horror alike. Hydras, dragons, fairies. Some good, more for ill. Powerful questions of the human psyche and the belief in karma explain these events. Trust me. Read it. You’ll understand why Berserk is the greatest fantasy work you’ll ever read. Oh D, D, D… so much incredible potential. So much background and amazing world building. And yet, the barriers between America and Japan have made the transition so difficult for you. Although there are more than two dozen novels, a video game and a couple of movies, few have been able to do this series justice. The video game was horrible. If I recall correctly, Playstation Magazine slammed it with 1 star out of 5. The novels from which the series originates were rich with story telling possibilities, but not well translated. Believe it or not, the movies have been pretty good. The first, created back in 1985, was based on the first novel and filled with a great story even if the artwork is a bit dated now. The latest, Vampire Hunter D: Bloodlust drew from the third book and is a jewel of animated movie making. The series takes place sometime in 12,000 A.D. Humanity engaged in a nuclear war, and in the aftermath the nobility (vampires) took over. Although there were some much kindlier vampires, the majority of which were horrifying blood suckers. Humanity is trying to recover, but the remains of the nobility (they are dying out) make it difficult. D is the greatest of the vampire hunters, being a dhampir. Castlevania has been around for decades, as far back as the old Nintendo Entertainment System. But around the Playstation 2 era, Konami has made a real effort to apply more and more story telling elements to their gothic, vampire slaying series. There was Castlevania: Lament of Innocence which details one origin of Dracula, and Castlevania: Curse of Darkness, a side story revolving around Hector, a demon summoning man trying to escape Dracula’s legacy. But Konami really hit gold with Castlevania: Lords of Shadow. A reboot of the series, Mercury Steam and Konami refreshed everything, transforming the game into a thick, shocking origin story of Dracula and the Belmont clan. The ending was particularly well done. The story designers kept pounding you with plot twist after plot twist. Maybe you saw something coming early on, but they didn’t stop until they got you with something you didn’t foresee. But the real joy is coming in the sequel… where you’ll be playing as Dracula himself. Well, I almost made a criminal mistake here. As I wrote this, I was tempted to leave it at five franchises, when I remembered that there was probably one more I should speak up about. I suppose the reason I almost forgot about Final Fantasy VI was that it was first an SNES title, as I never owned an SNES, only borrowed. And that it was so long ago that it was released, back in 1994. The previous titles are either still on going or have been reference via other works. Final Fantasy VI stands well on its own. So what’s it about? I’ll give you the short of it in simple words. An empire. Steampunk. Rediscovery of magic. Genocide for power gain. Madness. A broken world. Family. Friends. Survival. Hope. FFVI conflicts me. On one hand, I want to see it remade because the current generation of gamers needs to know the powerful story, strong characters and unforgettable world. If there’s such a thing as required reading, then FFVI is like required gaming. But on the other, it’s very likely that Square Enix could not do the original title justice. I suppose that someone could do the remake properly… but I simply don’t know anyone in this age who could achieve the rights, has the needed capital, and is skilled enough at game design and story telling to pull it off. But bare in mind I would prefer them not to even touch the story. They would have to figure things out like the importance of cinematography in the transition from 2 to 3d, but the script and events? Unless you carefully (and I mean carefully) add more incredibleness to the tale somehow, to change anything would be tantamount to artistic heresy. So I leave you now with a piece of art by Jimo Hazard, a rendering of a piece by Yoshitaka Amano, for you to think about. A lot of the earliest pencil and paper roleplaying games have tended to ease their formulas to provide the right mix of complexity with ease. A lot of basic math is applied to calculate certain values, which are then the basis of desired values for an act of chance, the results of which are reflected for better or worse in the game. The appeal of these roleplaying games has always been the sense of legitimate adventure confined more by the scopes of human imagination than the limited scopes of a digitally designed world. Combine this with a sense of social interaction these games require and you have a fun and flexible product to be shared with friends. The computer and especially the smart phone have opened up new possibilities of complex skill-based calculations, story telling and dungeon creation. This ease of use often comes at a cost, as many of the worlds created in larger titles have been the signature of someone else’s vision. The ordinary dungeon master in his room often has access to some tools for creating his own world, such as dungeon designers and map building applications. But to apply one’s pure, artistic mark to the creation using these tools is overshadowed by the visions of the artists who created them in the first place. There’s no real solution to this. The difficulty here is art and science versus engineering. The artists focus on creating something, the sciences on discovery. But the engineer is bound by these visions, working within the confines of what is available. These dungeon builders and systems are tools for game engineering, and they are useful if not necessary. But creating original art is much more challenging, and there is no real way to formulize it. It requires a vision that the machine isn’t able to provide, at least at the moment. Going back to my original point, I’ve noticed that people enjoy these complexities of game rules. Forums are awash with break downs of how the math of Diablo II worked. Some fans grumble at the lost RPG elements found in Mass Effect, taken away and replaced with a simplified system combat and no real adventure elements outside of where a conversation can take you. Discussion of the value of skills and stats in the Fallout series is a major consideration. Simple and accessible is certainly nice. But many game fans out there enjoy the depth of skill-based adventuring, not just action. Fighting and violence is not going anywhere. But the explorative nature of alternatives can breath a lot of addictive elements into a game, as a result of discovery. Why is this? Probably because exploring things is a form of very vast, unrealized gambling. Maybe hacking that terminal will give you easy access to your goal, or bring security down on your head. Perhaps there’s nothing in that cave, or a mountain of treasure. When you open that door, you have no idea what’s behind it. Maybe it’s an army of guards. Maybe it’s the princess. Maybe it’s One-Eyed Willy’s rich stuff. Maybe it’s a rolling boulder. Who knows? Absolutely no one, until you find out. For a while, that’s the direction that games were evolving. Sometimes we’re still moving in that direction, or at least toying with the concept. But I have a vision to create a world of infinitely renewable adventures. Where there’s always a story oriented goal, another door to open, a mountain to be climbed. No attempt at it has satisfied me thus far. Call me mad, but I know it can, and will, be done. Happy Final Fantasy VII Day! Celebrating 15 years since a great game was released, and 5 years of waiting for a disappointing remake! Here’s a great article on it by Jeremy Parish. I’ve been quietly watching the Ouya with growing respect. 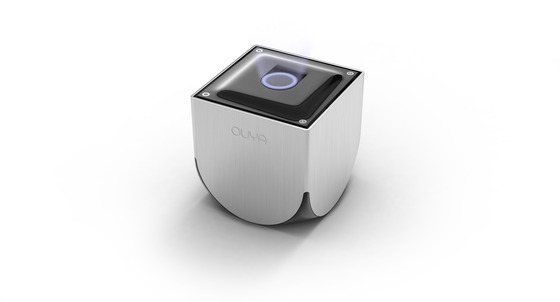 The Ouya is a new console due out in about six months. Best described, it’s an attempt at a console revolution: free-to-play games, open source, no licensing needed for developers, hardware modifiability. It uses the Android 4.0 operating system, has a USB 2.0 port, ethernet and can allow for up to four wireless controllers. Ouya got its start thanks to a promising Kickstarter campaign that brought in over $8.5 million in seed money from over 63,000 backers. So far, the list of confirmed games is somewhat small, but they still have six months to gather partners. They also have a few mentionable names thrown around, such as Square Enix’s Final Fantasy III (confirmed) and Minecraft (in discussion). Ouya’s biggest selling point is it’s potential: the development creativity of the PC meets the accessibility of the living room console. You know those addictive flash games you play on Newgrounds? Imagine if you could play them on your television with up to four friends. Skeptics are not wrong when they point to the long list of failed consoles, such as the Turbo Grafix-16 and 3DO as cause for concern. Ouya is competing with three major giants in Sony, Nintendo and Microsoft, and that’s not including the diverse and somewhat independent PC gamer types. But Ouya has time to get its act together before its release date in March of 2013. No promises as to whether I’ll get it, but I’ll be watching. Oh, and I’ll be heading to London in November.